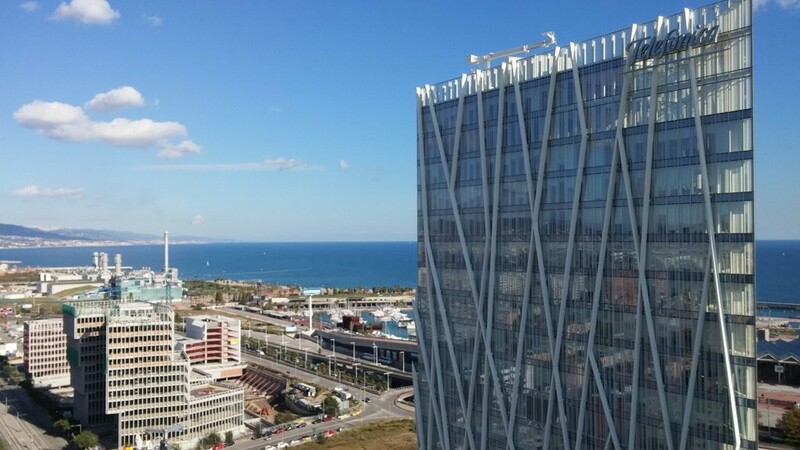 View from Diagonal Zero: one of Barcelona’s new developments coming to market. An article in the Barcelona-based Spanish daily La Vanguardia explains how new developments are returning to Barcelona after a long absence during the crisis. Adaptation and translation of an article published by La Vanguardia. The Spanish property market recovery is starting in the big cities of Madrid and Barcelona, not just because prices have stopped falling – and even started rising in the most central districts – but also because growing demand has encouraged developers to start building again. After seven years without any cranes to be seen in Barcelona, there are now 58 new developments for sale in the city, with a total surface area of 32,000 square metres (sqm), which translates into 1,114 homes new homes for sale in Barcelona, according to data from the real estate consultancy CBRE. And there are more new homes in the pipeline, with advanced plans to start working on another 78,000 sqm of residential housing in the next few months. “2015 marks a change of cycle for the property sector in the city,” says Alexandra Delfín, head of residential for CBRE in Barcelona. “Now all the indicators are starting to rise.” And most important of all, Q1 home sales were up 30% in Barcelona province compared to a year ago. The real estate recovery, however, is as unequally spread as the national economic recovery: for now it only affects areas preferred by the middle class and tourists. So the biggest number of new developments underway, according to CBRE numbers, are in Sants-Montjuïc and Sant Martí, where there are more plots available, whilst the rest are in the central districts of Sarrià-Sant Gervasi, Les Corts, Gràcia, Eixample and the Ciutat Vella Old Town. “Local developers have started with small new developments, but international funds, alone or with local partners, are behind the biggest land purchases, and are going to lead the market in the coming months,” explains Delfín. The international funds are looking for big deals, which are hard to find in Barcelona city centre, where there is hardly any building land available, so they have started investing in rehabilitation projects (Europa Capital Partners, with local partner Bonavista, has bought the historic Casa Burés to build 8,600 sqm of housing very close to the centre, whilst Squircle Capital is transforming the old Winterthur office on Plaza Francesc Macia, which it bought from Grupo Reig). 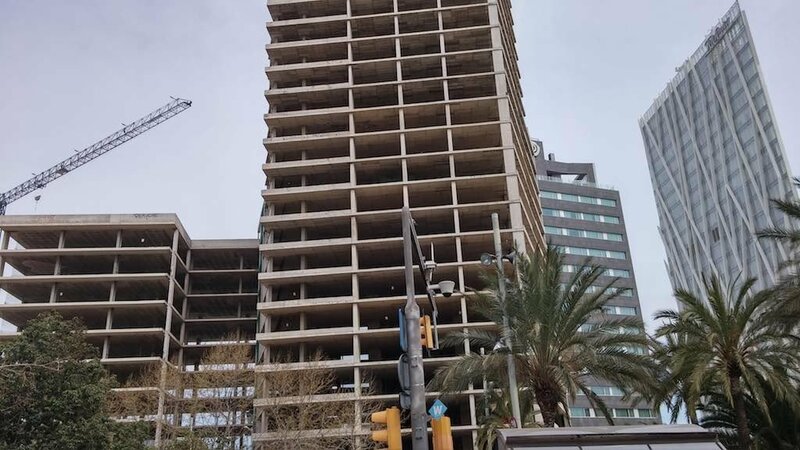 “The funds are buying in secondary zones like Sant Martí (Shaftesbury will build at Diagonal Zero, and Chenavari, with Via Celere, will build opposite the Forum) and studying operations outside the city, looking for big plots, in areas like l’Hospitalet de Llobregat or Badalona,” says Delfín. Diagonal Zero, near the beach in Sant Martí / Forum. For the time being, however, the developments for sale in the city are mainly from local developers: Núñez i Navarro (in Gràcia), Vertix (in the Ciutat Vella and Vila Olímpica), La Llave de Oro (in Les Corts and Sant Martí), Corp (in Sarrià and Sants), Elix (in Gràcia) y Vía Celere (in the Eixample). Demand has changed, and with it the flats being built: the vast majority now have three or four rooms, and an average area of 90 to 130 sqm. “This is also possible because the prices are no longer what they were in 2007,” Delfin points out. In Sarrià, the most expensive district, the starting price for a new flat is 6,200 €/sqm, when in 2007 it was double that in some new developments. Furthermore, prices are starting to rise. “New projects are sold out off-plan in just six months,” says Delfin, encouraging developers to raise prices in the sales period. One developer confirms that, in some cases, prices rise by 15% between the start of the sales process and the end.